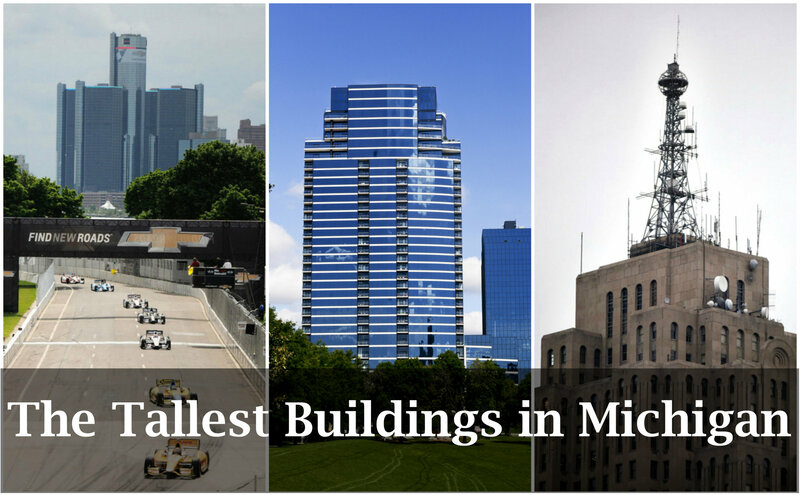 Thanks to Midtown Detroit, Inc. for this update. El Moore, located in Midtown Detroit on West Alexandrine between Second and Third, is a residential building currently undergoing innovative, sustainable renovations. Units in the building will begin coming online in the near future. The El Moore welcomes both long-term residents and guests to explore the intersection of nature, community, and the city together. This entry was posted in Detroit Architecture, Midtown Detroit and tagged El Moore. Read the complete MLive article. This entry was posted in Detroit Architecture and tagged 150 West Jefferson, Book Tower, Cadillac Tower, David Scott Building, Detroit Marriott, Fisher Building, GM Ren Cen, GM Renaissance Center, Guardian Building, One Detroit Center, One Woodward, Patrick V. McNamara Federal Building, Penobscot Building. Read the full Motor City Muckraker article with all the photos. The Motor City Muckraker‘s Muckraker’s Steve Neavling took these photos of the Fisher Building, an Art Deco skyscraper that will be auctioned off this June. 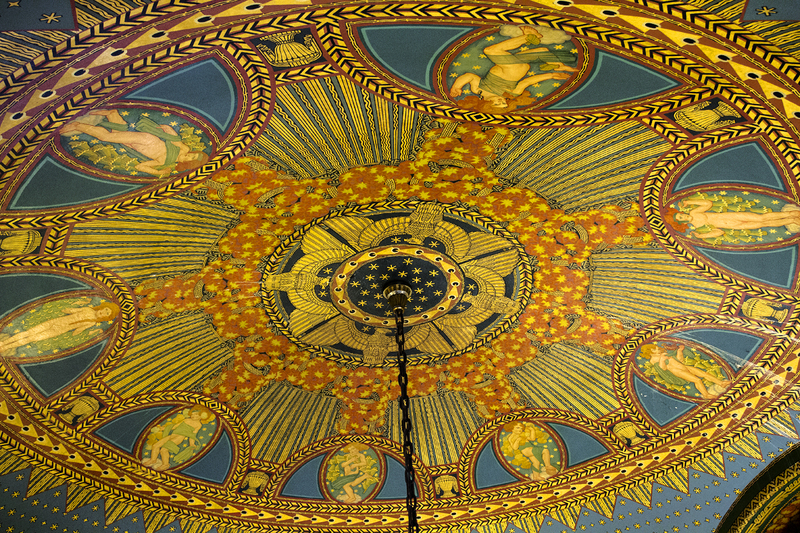 The Albert Kahn-designed masterpiece is covered in marble, brass and bronze and features hand-painted, barrel-vaulted ceilings, a theater and a golden crown. Show Me Detroit Tours swings past this landmark during its twice daily 2-hour visits to Detroit’s landmarks and attractions. For complete tour info visit www.showmedetroittours.com/reservations.html. This entry was posted in Detroit Architecture and tagged Albert Kahn, Fisher Building, Motor City Muckraker, Steve Neavling. Read the full report from DetroitUrbex.com. With the renewed interest in and redevelopment of Capitol Park, hopefully brighter days await this historic structure. 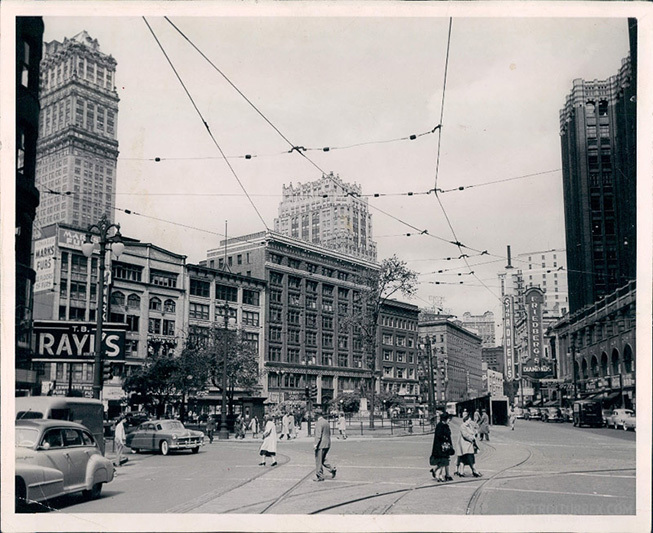 This entry was posted in Detroit Architecture, Detroit History, Downtown Detroit and tagged Capitol Park, Farwell Building. The One Campus Martius building houses what is said to be the world’s largest indoor waterfall, and what a huge plus that it’s also so radiant. From the natural light which travels through the brightly colored glass in the waterfall to the serene sounds on the water itself, it’s hard not to be in awe of such a fascinating space. 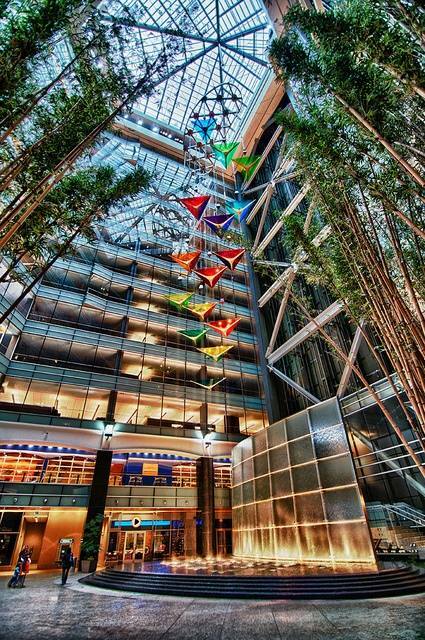 This entry was posted in Campus Martius, Detroit Architecture, Downtown Detroit and tagged dPOP, One Campus Martius. Read the complete Free Press article. The McGregor Memorial Conference Center, a Modernist masterpiece located at Detroit’s Wayne State University, was among five sites added to the nation’s list of historic landmarks today by the National Park Service. 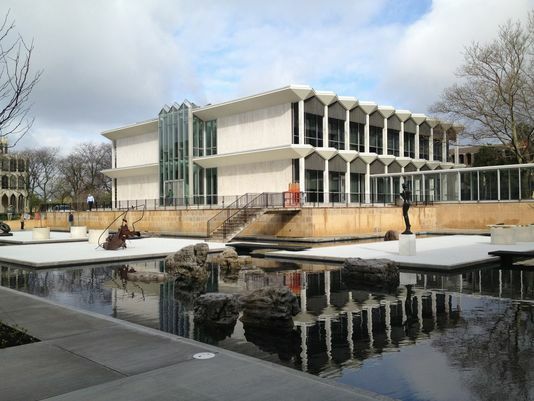 This entry was posted in Detroit Architecture and tagged McGregor Memorial Conference Center, Minoru Yamasaki, Wayne State University, World Trade Center. Read the complete Crain’s Detroit Business article. 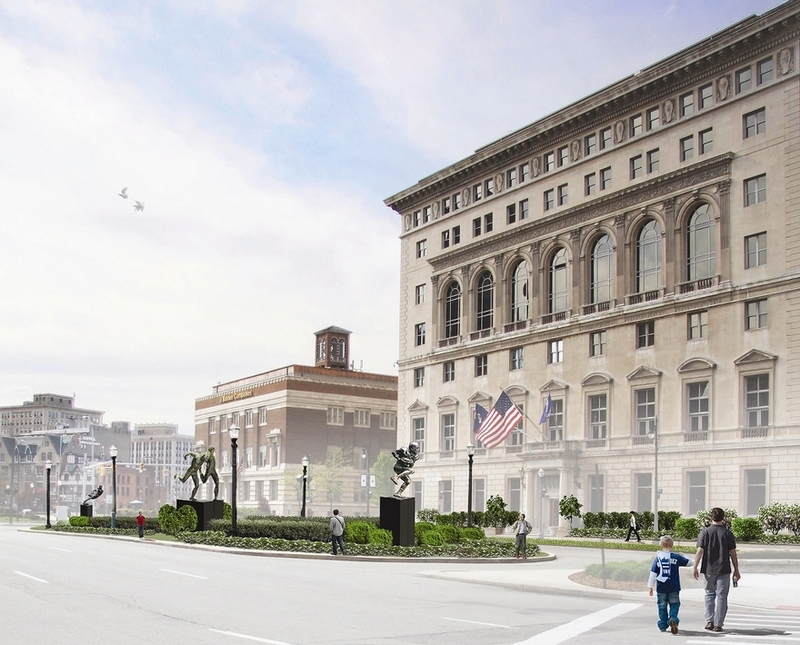 The Detroit Athletic Club will celebrate its centennial on April 24 with a new sculpture park. The Albert Kahn-designed club is also completing rooftop renovations to create a restaurant, lounge and meeting rooms, which are expected to open in July. The $2.3 million sculpture project, which will be placed on the island bisecting Madison Avenue in front of the club, represents the club’s original mission of supporting amateur athletics. Nine-foot statues of a second baseman throwing a runner out at first, two runners and a football running back donning the number 20 were commissioned by the club’s foundation and sculpted by A. Thomas Schomberg. His most famous work is the Rocky statue in Philadelphia. A fourth sculpture — a female swimmer — will be installed in the circular drive entryway of the club. The DAC trained female Olympic hopefuls decades ago. This is just one of the historic structures included in a Show Me Detroit Tours 2-hour tour of Greater Downtown Detroit. Complete tour info is at www.showmedetroittours.com/reservations.html. 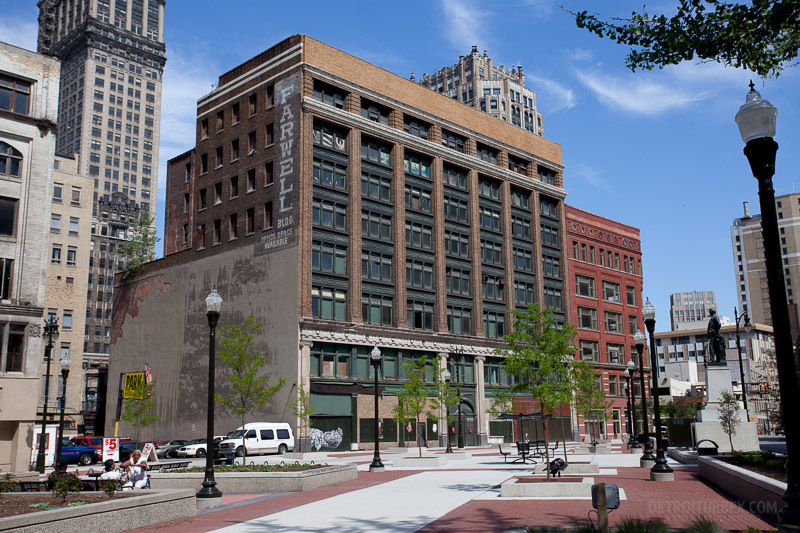 This entry was posted in Detroit Architecture, Downtown Detroit and tagged A. Thomas Schomberg, Albert Kahn, Crain's Detroit Business, Detroit Athletic Club.